First of all it is worth noting that I KEEP getting mixed up about the name of Gwen’s baby, Anwen. 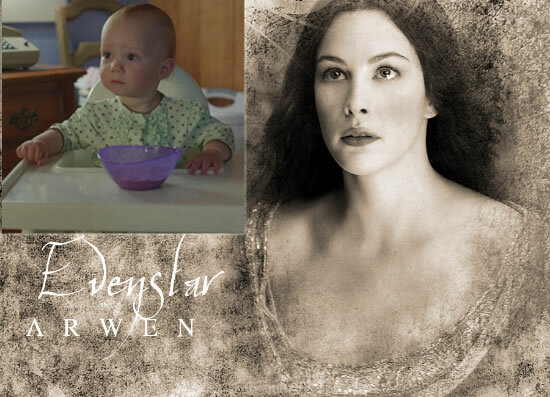 This story had her called Arwen for more than a year. The difference between Anwen, a rare but traditional Welsh girl’s name, and Arwen, a beautiful Elf in Tolkein’s Lord of The Rings is only a subtle one and I seem to have problems grasping it. Even Wikipedia notes that it is a common confusion. Since Anwen, daughter of Gwen Cooper of Torchwood, is one of only two notable bearers of the name, it really must be rare. 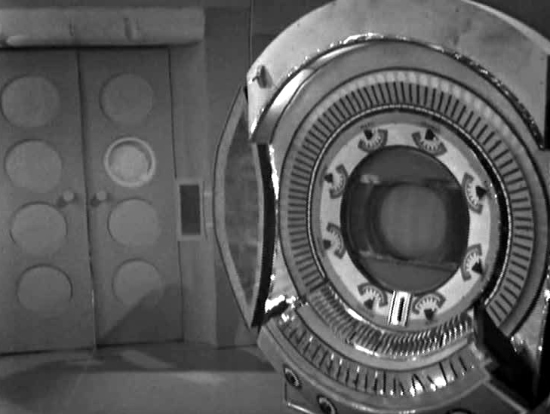 The Time-Space Visualiser is, of course, the huge, clunky device that The Doctor and companions were given as a gift after their adventure in the Space Museum. 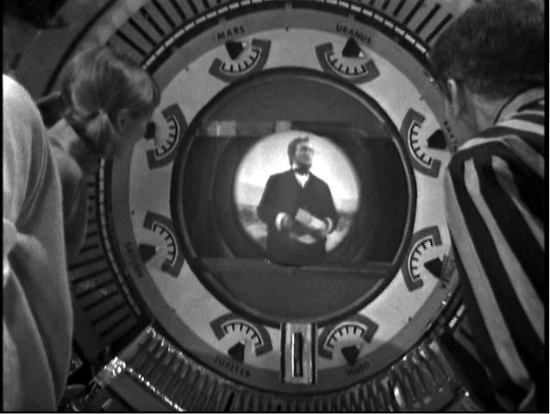 It was only seen one more time, in the opening scenes of the follow up story, The Chase, although a similar device was used in the recent video game, City of the Daleks. 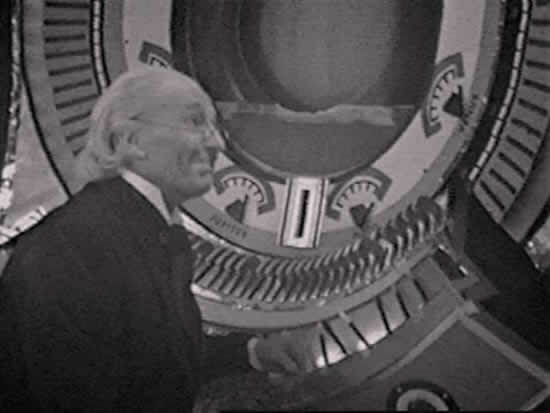 In The Chase it was responsible for a cameo appearance of The Beatles, and the worst pun ever in Doctor Who – ‘You’ve squashed my favourite beetles’ – a joke worse than ‘I love a happy medium’ and ‘take me to your leader’ as seen in the reboot series. Presumably, the prop was too big and cumbersome to use regularly, and there weren’t enough ideas to work into the plots. I doubt very much if it will appear again in my Torchwood stories for the same reason. The sheer normality of the opening scene in which Ray and Beth take delivery of a large crate near the end of the working day was deliberate. It is a counterpoint to the abnormality of everything that goes on beyond the tourist office on Mermid Quay. I can’t help thinking, though, that delivering anything to that location is more or less impossible and Torchwood ought to have another entrance for tradesmen. Anyway, the arrival of the TSV leads to a series of vignettes of memories for some of the Torchwood team before the main story surrounding a future episode of Jack’s life. It is also a bit of a bitter-sweet moment for Ianto as he sees the young man Jack is having a relationship with in this future time. He recognises a lot of himself in Gerry and realises that ‘teaboys’ come and go in Torchwood. Anwen, of course, is Gwen’s daughter, grown up and very smart, well aware of what Jack is like. Most people missed the other connection to the present – Harry Harper, a young man with oriental-caucasion features. Obviously he is a descendent of Owen and Toshiko. He didn’t feature significantly enough for readers to pick up on that. The important part of this future story, of course, is Jack’s recklessness in bringing a relatively untrained man – Gerry – into a dangerous field mission. Did he do it just because he was sleeping with him? It is certainly true that he involved Ianto in outside work far more after they became an item. It is likely to be a pattern he would repeat. Anwen would recognise the pattern even if he had been monogamous for most of her life and chastise him for it. One comment about this story was that it got ‘soft’ by letting Ianto write the letter that could possibly change the future. But Ianto IS sentimental about Jack, and he likewise, and if the future CAN be changed, why wouldn’t he? In this version of events, Children of Earth hasn’t happened, so Jack hasn’t faced losing Ianto, but does anyone doubt that he would take precautions if he was forewarned?